At the end of last year, Vanparijs Engineers (Hoegaarden) received a unique double order. 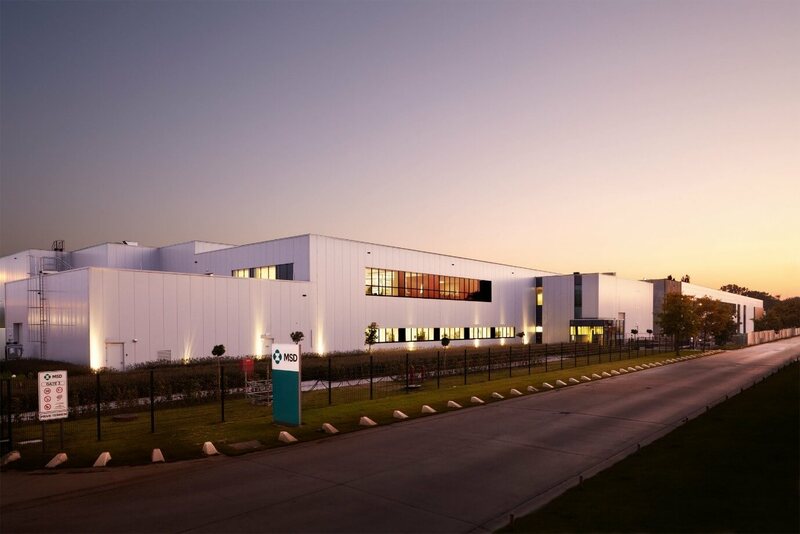 MSD, the global innovative healthcare company with an important site in Heist-op-den-Berg, will integrate both a UPS installation and a CHP plant in collaboration with the engineering and contracting office in the coming months. The project is part of the policy of MSD (formerly: Schering-Plough) on environment and sustainability aiming to improve business security, contribute to sustainable energy supply and reduce CO2 consumption on the site. By 2025, MSD will globally reduce its GHG emissions with at least 40 percent from 2015 levels. A first feasibility study by Vanparijs Engineers had already shown in 2015 that there was a large CHP potential on the site in Heist-op-den-Berg and that same year a permit dossier was started for the construction of a CHP installation of 1560 kWe. Almost at the same time, Vanparijs Engineers conducted a study evaluating the impact of grid voltage breaks on the quality and continuity of the production processes. The sterile department of MSD is a critical part of the production, where even the shortest voltage dips need to be absolutely prevented. In order to reduce the risk of these voltage dips, the study also described some possible solutions for avoiding such interruption. Various technologies were examined including flywheel, super caps and batteries. MSD will collaborate for both projects with the same independent partner with more than 20 years of expertise in both cogeneration and continuous power supply. Vanparijs Engineers, part of the EDF Luminus Group, will integrate in the course of 2018 both a 1000 KVA hybrid UPS system and a 1560 kWe CHP installation into the existing infrastructure. - The 1000 KVA flywheel UPS and associated peripherals are built into two fully insulated and ventilated containers in addition to and in the same version as the other technical containers on the parking lot. - The 1560 kWe natural gas-fired CHP is fully integrated hydraulically and electrically into the existing heat production and distribution (70-90 °c water and 10 bara steam) without impact on the rest of the production process. It is expected that the new installation will have a return of more than 86%. Vanparijs Engineers works closely together with Eneria CAT (Groupe Monnoyeur) from Overijse for the delivery of the machines. The UPS is expected to be operational in the course of summer and the start-up of the CHP is foreseen in November 2018. Vanparijs Engineers will also ensure the maintenance of both installations and guarantee the availability and efficiency of the services. The combination of design, integration, civil works, delivery of machinery and maintenance by one and the same party, provides significant benefits for MSD and is the key to a successful project.